Rich Jewel Toned Easter Eggs... into a card?? Yes!! I LOVE bold jewel tones and incorporating this In-Color Ribbon Collection into this Happy Easter Ribbon and Punch Art Card is a fun way to deliver some smiles! Join me in quickly creating this card (in under 10 minutes) that will live on for a long time! **See the many beautiful In-Color collection and Grab YOURS before they are gone! Today I took my kiddos to the mall and shopped for Easter Clothes. We have two days of seeing family (from each side of our family) and we needed double the wardrobe! So as I dressed them up, looking forward to seeing them hunt for some fun eggs, I took a moment to celebrate the many blessings God has given me. Take a moment, run barefoot through some green grass and smile, we are truly blessed. 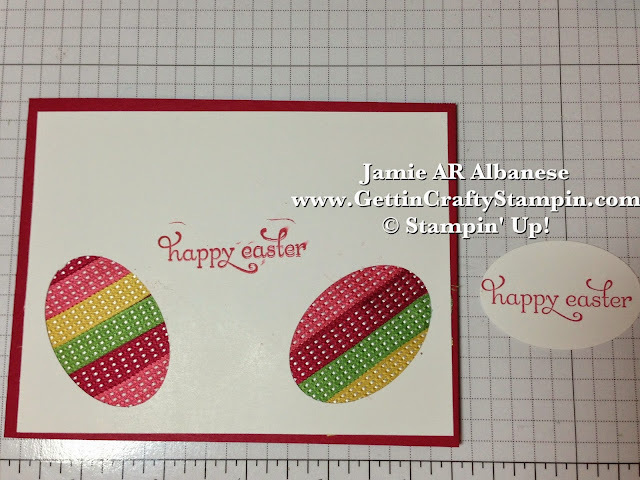 Using the Extra Large Oval Punch to punch these 'eggs' that lay at fun angles in the Whisper White card stock. Circle the back of the punched Eggs with SNAIL Adhesive. Lay the In-Color Stitched Satin Ribbon to create a jeweled colored egg. WOOPS! Yeah - I make mistakes all of the time! Here, stamping the Happy Easter from the Delightful Dozen stamp set in Raspberry Ripple ink was bumped by my kiddos, causing this blurred image. 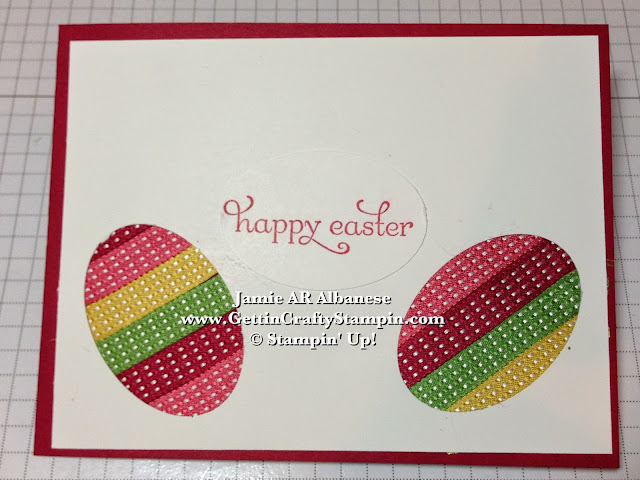 These bold eggs are a delight.. but have fun and add some color coordinated Gumball Green card stock. Make 'grass' with the Fringe Scissors for a fun look. 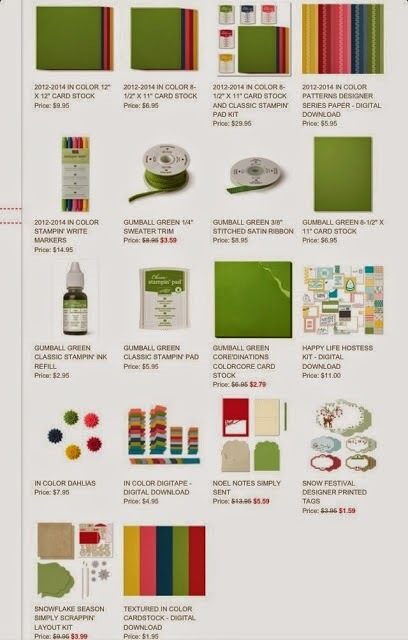 Adhere with the SNAIL Adhesive and 'fluff' the grass for a whimsical card accent. I LOVE coloring our Easter Eggs with the kids every year. We are sure to have some mis-adventures (lol) in this process. Having fun in the midst of a 'woops' is awesome. This card is rich, jewel tones with pretty patterns and accents in the Stitched In-Color Satin Ribbon. (Grab YOURS before they are gone!) Create your own ribbon and punch-art card, quickly, while leaving a lasting impression. Even when a 'boo-boo' happens, have fun 'fixing' it. Use many different type punches and ribbons with this technique and be amazed at the fun you can have!